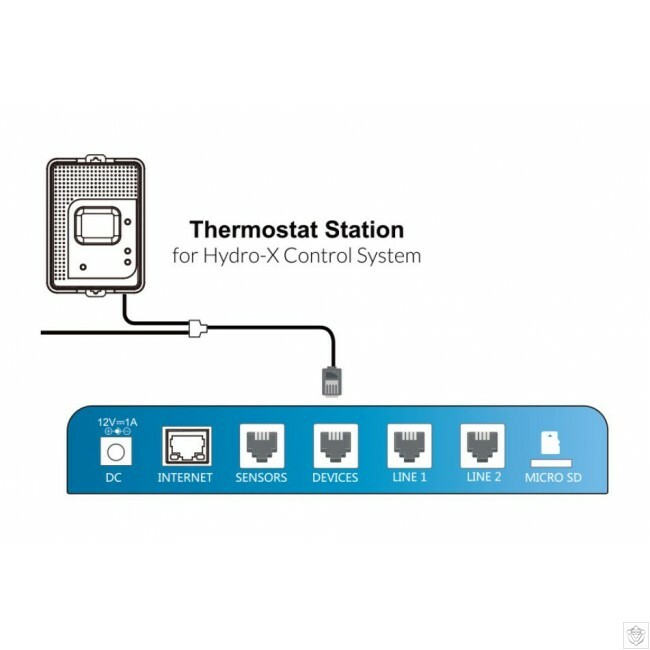 TS-2 Thermostat Station is specifically designed to replace the traditional thermostat to control four system types of equipments (Heat/Cool, Cool only, Heat only, Heat pump). It will control your four system equipments by Day/Night setpoint base on the photocell status. 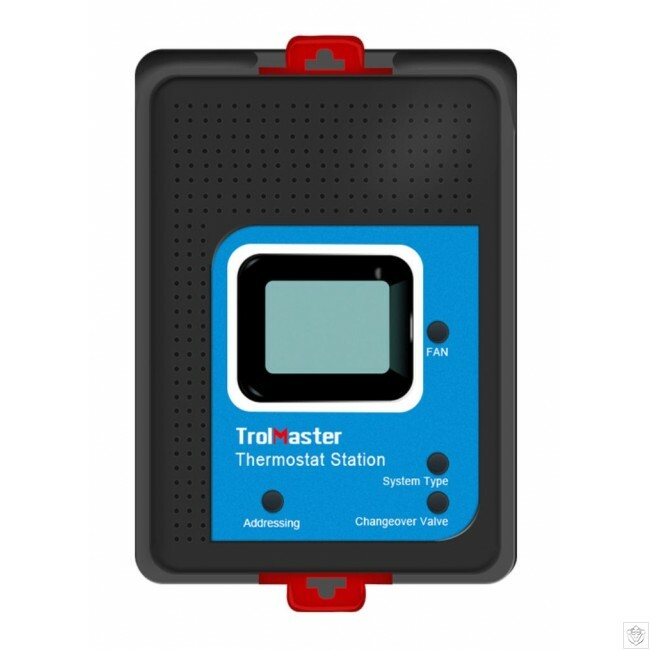 Connect the TS-2 to where your thermostat is on the wall using preexisting wires, now you can use the TS-2 in conjunction with the Hydro-X to control heating & cooling equipments.